Partly cloudy skies. Low 41F. Winds light and variable..
As the Iowa Nutrient Reduction Strategy turns five years old Tuesday, it’s an appropriate time to reflect on progress made to date and to anticipate the additional work required to meet the full scale of Iowa’s water quality challenges. Iowa’s farmers have made tremendous progress reducing soil erosion by adopting practices such as no-till or strip-till, grass waterways, terraces and buffers. By curtailing erosion, Iowa’s farmers have helped to substantially decrease sediment and phosphorus in our waterways. Phosphorus loading in Iowa has been declining by about two percent per year for the last two decades. An Iowa State University assessment finds Iowa’s farmers have already helped to reduce phosphorus losses by 22 percent since the baseline period was established in the Iowa NRS just five years ago. That is phenomenal progress! Reducing nitrogen losses is a tougher challenge since nitrate is soluble and moves with the water. Efforts to reduce nitrogen loading have ramped up in the last decade. Bioreactors and saturated buffers, invented and pioneered in Iowa in recent years, are highly effective at reducing nitrate losses from subsurface drainage. Meanwhile, increased emphasis has been placed on an old practice — cover crops — a highly effective solution that keeps both nitrogen and phosphorus in farm fields. Across Iowa, every watershed has its own set of unique circumstances. From varying soil types to various stakeholders, each watershed requires a unique approach to address water quality. From La Porte City to Laurens, we are seeing great progress in scaling up efforts to improve water quality when consistent critical success factors come together: a watershed plan, financial assistance, technical assistance, and engaged agribusinesses, community members and farmer-leaders. The work of individuals such as Beck ripple through the entire watershed as their collective efforts flow together. Numerous stakeholders in the Miller Creek Watershed are working together so well, they gave themselves the lofty objective of becoming the first watershed in the state to meet the goals of the Iowa NRS. Farmers in the area have already adopted cover crops on 20 percent of their row crop acres. The leaders of the watershed project set an ambitious goal to increase the adoption rate of cover crops to 50 percent. Similar progress has been made in other watersheds such as Elk Run and the Headwaters of the North Raccoon (which includes farms around Laurens). These watersheds are part of a $48 million project the Iowa Agriculture Water Alliance and the Iowa Department of Agriculture and Land Stewardship (IDALS) are co-leading. IDALS has funded 65 demonstration projects to improve water quality across Iowa that will drive further adoption of practices. Last year, $420 million was spent to address Iowa’s water quality challenges and the Iowa Legislature has approved additional funding for future years. We also are co-leading a Conservation Infrastructure Initiative with IDALS designed to get greater private sector engagement and investment in implementing the Iowa NRS. For these reasons, I’m confident despite the amazing progress of the last five years, the best is yet to come. 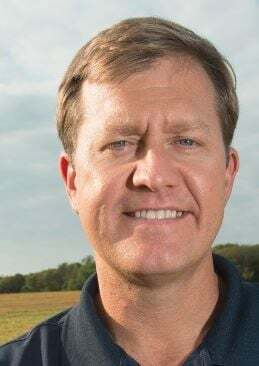 Sean McMahon is the executive director of the Iowa Agriculture Water Alliance. The mission of IAWA is to increase the pace and scale of farmer-led efforts to improve water quality.